A sigh is so easily misunderstood. By definition, to sigh is to “emit a long, deep, audible breath expressing sadness, relief, tiredness, or a similar feeling.” A lot can be wrapped up in a sigh. I often let out sighs after moving a heavy piece of furniture, or laying my head down on pillow at the end of a tiring day, or when I try to communicate clearly to someone just to be misunderstood. Literally, a sigh helps lighten the load…physically, emotionally, and spiritually. The Romans passage for this week says, for we do not know how to pray as we ought, but that very Spirit intercedes with sighs too deep for words. This is a beautiful and comforting expression of a sigh. 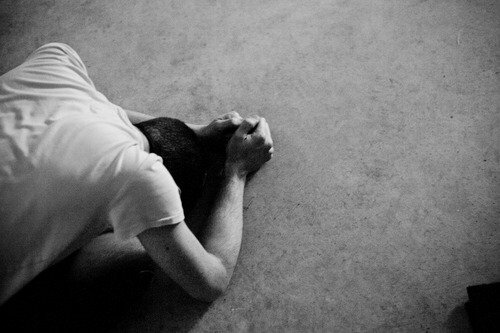 When we don’t know how to pray, the Spirit intercedes with a sigh. It doesn’t say that the Spirit intercedes with an answer or a way to fix the problem. The Spirit offers an expression of emotion for us. As Romans 8 suggests, a sigh can be a beautiful prayer! A few years ago, after the Charleston shootings, a pastor friend of mine simply posted on social media, “with sighs too deep for words.” And with that I could pray and know that God felt the weight of the tragedy with me. When I do not have words…I have a sigh. And so, I offer you the beauty of sighs. When words don’t seem adequate, or you have no words, or you want to pray but don’t know where to start…I offer the beautiful gift of a sigh. Or the next time you hear your children sigh, consider it a prayer! May God be honored through our sighs.